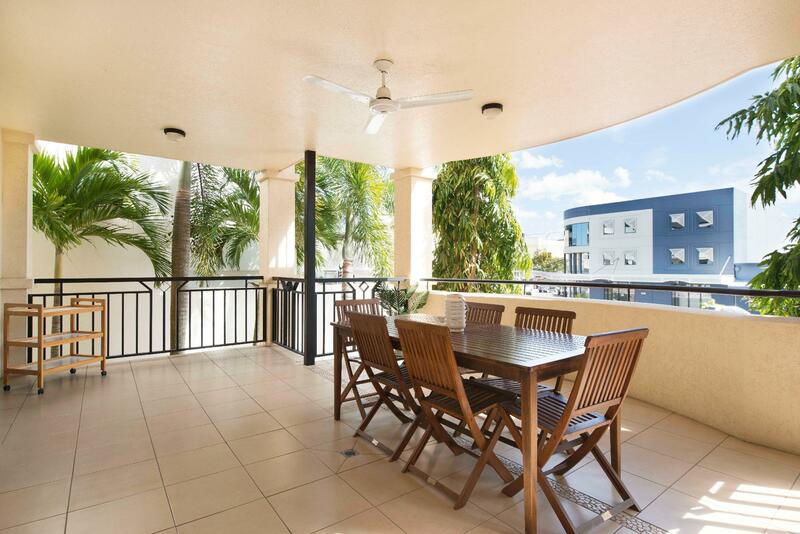 يشكل فندق Cairns City Apartments بموقعه الممتاز في قلب هذه المنطقة الرائعة كنقطة انطلاق ممتازة لاستكشاف المدينة. إن موقعه الجيد الذي يبعد 1 km فقط عن مركز المدينة يساعد النزلاء على الاستمتاع بمعالم المدينة ونشاطاتها. يقع هذا الفندق الحديث على مسافة قريبة من المعالم السياحية الشهيرة. إن الخدمات الممتازة وحسن الضيافة العالي في Cairns City Apartments تجعل إقامتك تجربة لا تنسى. يقدم هذا الفندق العديد من الخدمات الكفيلة بإرضاء أكثر الضيوف تطلباً. في Cairns City Apartments غرف نوم يزيد عددها عن 13 صممت بذوق وعناية لتوفر لك كل وسائل الراحة . بعضها يحتوي أيضاً على تلفزيون بشاشة مسطحة, حوض الاسترخاء, غرف لغير المدخنين, مكيف هواء, مكتب. يقدم الفندق خدمات رائعة كمثل حوض استحمام ساخن, حمام سباحة خارجي, سبا, مسبح (للأطفال), حديقة لمساعدتك على الاسترخاء بعد نهار طويل من النشاط والتجوال في المدينة. يشكل Cairns City Apartments بخدماته الراقية وموقعه الممتاز، قاعدة مثالية للاستمتاع بإقامتك في المدينة. ساعات عمل مكتب الاستقبال من الساعة 8:30 صباحًا حتى الساعة 5 مساءً. العقار يتبع سياسة تمنع الحفلات. 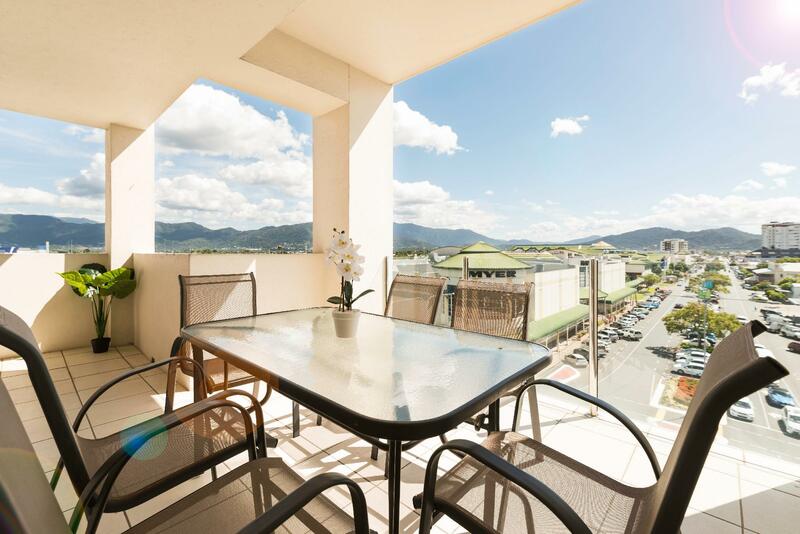 First, the location is superb, just opposite Myer in Cairns main shopping mall with lots of shops, supermarkets and eateries. We booked a 3 bedroom/2 toilets apartment. It is very spacious , very clean. The apartment manager, Matt, and his mum, are very friendly and helpful. They helped me with a few errands. The only small issue was that the shampoo/shower gel provided were insufficient. They should match the number of pax and days of stay. Thank you, I am glad you liked the position of our units. Best staff! Enjoy relaxation in central city! A BBQ on the verandah would be an asset. Nice apartment, clean & tidy, friendly staff, handily situated, nowhere too far. My wife (Grandma) and one of our daughters and her two children visited Cairns for a memorial service for my wife's brother. The occasion became a family reunion. Accommodation met all her requirements, and we would like to record our thanks to staff for help from the time we booked, through reception, and departure. Thank you. The only complaint on return has been about Canberra weather after the freedom of the Cairns winter! The apartment looked lovely and moden. It was spacious and comfortable. Large three bedroom apartment centrally located. Have stayed here a couple times now while in Cairns on Business. There is a strange smell in the corridor that was present each time, also two garage remotes would have made life easier in the three bedroom apartment that has two parking spaces. 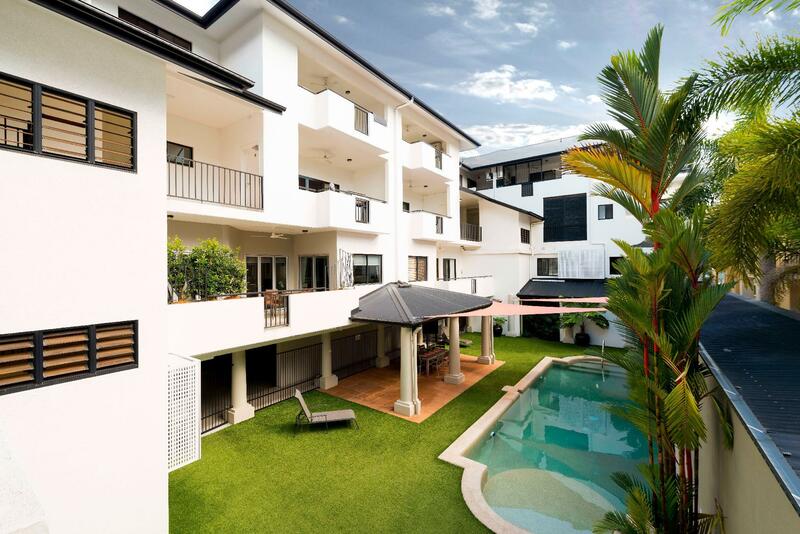 Other than those small gripes Id reccomend for anyone looking for a clean, well priced, centrally located apartment accomodation in Cairns. 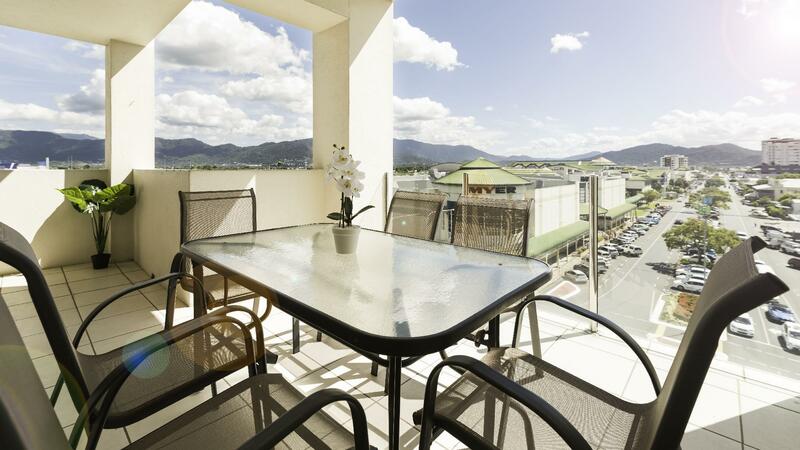 Thoroughly enjoyed our stay at the Cairns City Apartments. Rooms were very spacious with good airconditioning, storage spaces, walk-in closets, clean toilets, continuous hot water, great kitchen and a big balcony. Close to the Esplanade which boasts hundred of good and affordable restaurants. The only drawback was the missing cleaning staff who did not show up on any of the days we stayed......towels were not changed, tea/coffee/toiletries were not replenished...perhaps due to New Years eve...we had to buy our own.....it did not bother us nonetheless. Stayed at the 3 bedroom apartment on ground floor for 3 nights. Terrified with how unclean the place was with ants in kitchen and all the surfaces being sticky. Beds and pillows were not comfortable. Disappointed. The Apartment was very spacious and contained everything we needed. The staff were very friendly and courteous. Centrally located. Very enjoyable. We would certainly stay there again. Full equipment, spacious, near central station and city as well as the beach. the apartment is amazing! it' s well equiped and spacious with fully functioned kitchen. my fellows and i are rather satisfied with and enjoyed the days we spent in the hotel togeher. although we arrived and left both on weekends, and there is no reception working that time, we felt convenient with self-service check-in and out. séjour agréable dans un appartement spacieux moderne et propre..également bien situé dans cairns..la personne de l'agence était très aimable et nous a bien conseillé a propos des excursions à faire dans la foret et sur la barrière de corail..